The modern and slightly drab public toilets that dot the downtown landscape of Portland, Oregon, are a regular sight for residents, but it sounds like they will be popping up in other cities across the country, reports KPHO.com. The sustainable, homegrown design called Portland Loo and manufactured by Madden Fabrication may be seen in places like San Diego, British Columbia and Alaska in the near future. The outdoor toilets, which are solar-powered and self-cleaning devices, are meant to ease congestion at public restrooms at coffee shops and eateries and improve the standard of public health in many American cities. The product is made of bare bones aluminum and steel meant to stand up to vandalism and last for years. "We can ship them to somebody for $99,000 and all they have to do is bolt them on to their sidewalk and hook them up to sewer and water," Portland city commissioner Randy Leonard, told StatesmanJournal.com. The restrooms are meant to be open 24 hours a day and don't have to be locked like other brick-and-mortar facilities at night. 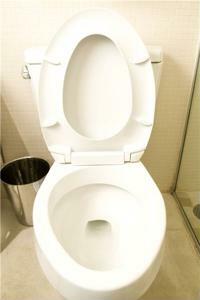 While they have been growing in popularity in cities all over the U.S., have you ever used one of these public toilets?